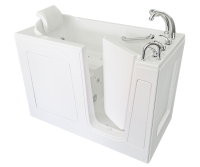 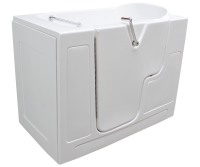 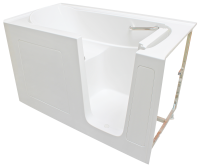 The Bliss Tubs B3555 extra-wide walk-in tub was designed with comfort and spaciousness in mind and utilizes as much space as possible for the comfort of larger bathers. 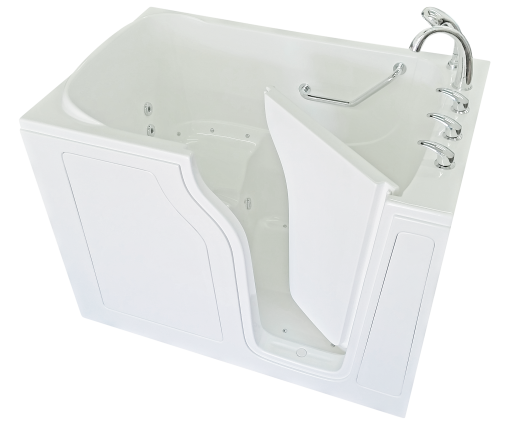 The 27-inch wide seat is among the largest in the industry and the 23½-inch wide doorway is contoured to match the body’s natural shape. 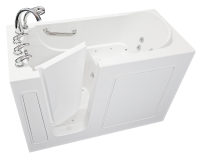 With 27 inches of legroom, the inward-swinging door on this model is remarkably easy to close. 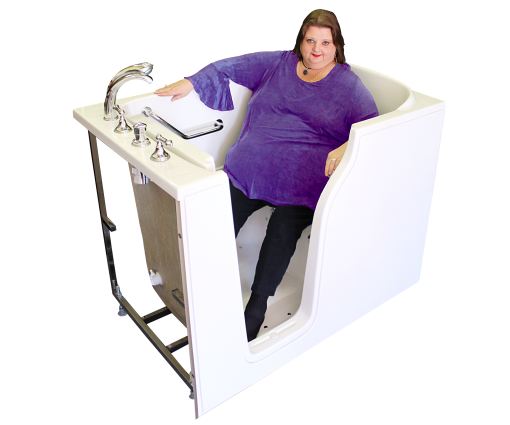 This walk-in tub is perfect for bathers with a fuller figure between 300-400 pounds who require the extra room from a bariatric walk-in tub.